Is it a viola piece? Is it a cello piece? Is it a violin piece? It is a great piece of music. French violinist and composer Francois Francoeur (1698-1787) introduced a variety of technical innovations, including various bowings, leaps, triple and quadruple stops, as well as playing in all of the first five positions in his two volume set of 22 violin sonatas. Francoeur's style is characterized by inventiveness and infectious rhythmic drive often with creative use of wind instruments, akin to the Rococo period. Originally Sonata No. 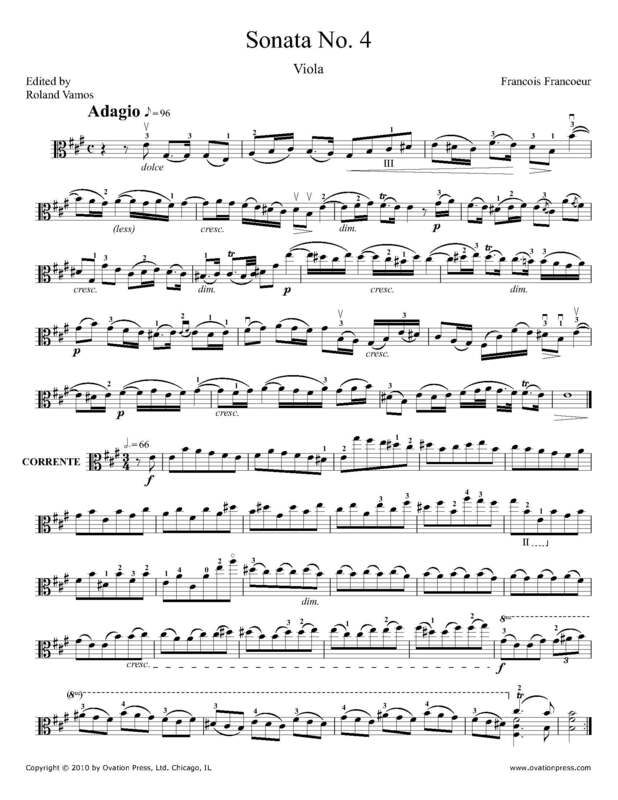 4 for violin solo and basso continuo, this work was first arranged for violin and piano by Jean-Delphin Alard (1815-1888) and later transcribed by Heinrich Dessauer (1863-1912) for viola. This new Ovation Press edition has been edited by Roland Vamos.